In February 1881 Rev. William Rees resigned as he felt his strong views on temperance were unpopular with the congregation. In May 1884 Rev. 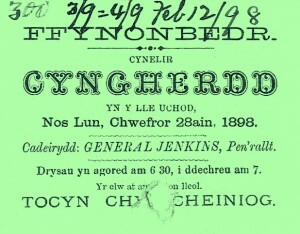 William Hopkin Rees of Capel Isaf, Llechryd became the Minister(?). In 1884 a surprise religious census showed 96 attending in the morning and 72 in the evening. In 1884-1926 Rev. 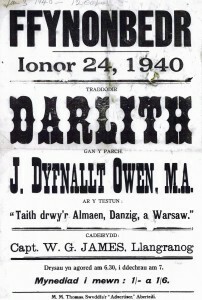 Hermonydd Williams was the Minister. In July 1921 tenders were sought for painting and redecorating the chapel. Rev. 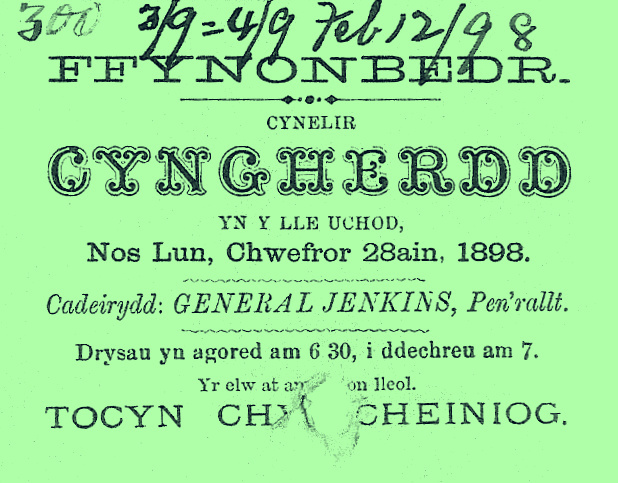 Hermonydd Williams, minister since 1884, died on 8th October 1926. On 8th January 1929 Rev. David Roberts was inducted as the Minister. 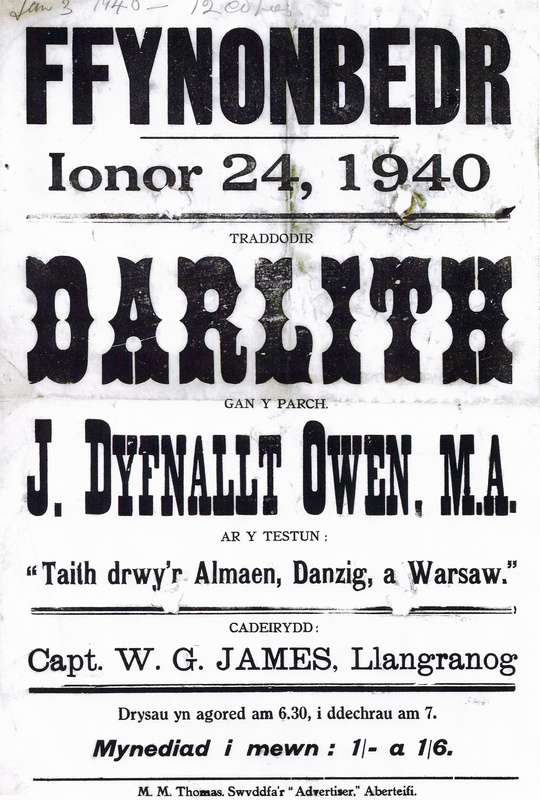 In 1944 Vincent Davies of Trefere Uchaf, Tremain, became a Deacon. In February 1949 tenders were sought for repairs and redecoration. On 5th February 1953 Rev. David Roberts, the minister for 25 years, passed away. On 29th July 1955 Rev. Meirion Evans became the minister. On 6th January 1956 the chapel was licensed for the solemnising of marriages. In March 1960 Rev. Meirion Evans accepted another calling to Caernarfonshire. In 1961 Rev. Arthur Evans Williams became the Minister. In 1961-1990 Rev. Arthur Evans Williams was the Minister. In September 1965 the chapel celebrated its centenary. In 1967 Miss M. Davies became the Financial Secretary. In 1972 Miss Ceri Jenkins became the secretary. In 1973 Walwyn James and William J. Davies became Deacons. In 1977 Elisabeth Alwena Davies, David Edward Jenkins, Samuel Jenkins, Gomer Wynne Jones and David Glyn Morgan became Deacons. In 1980 there were 98 members. In 1982 Gwyn Davies became the Treasurer. In 1986 membership rose from 89 to 94. In 1987 Desmond W. Davies, Gwyn M. Davies and Delyth G. Legg became Deacons. In 1990 Rev. Arthur Evans-Williams ceased to be the Minister. On 9th December 1992 Rev. James Henry Jones became the Minister. He left in June 1994. In 1996 Rev. Dorian Sampson became the Minister until 2005. In April 2008 a planning application was made to build a new kitchen and toilet extension. Order of Service – Induction of Rev. James Henry Jones 07/12/1992.